At Fort Lauderdale’s Simply Massage we have honed our skills in various techniques that allow for a gentle, yet effective massage treatment. We don’t believe pain is necessary to achieve your goals. We want to be part of your health and wellness routine and so we offer inclusive pricing that allows you to receive the benefit of all our tools and techniques with no up-charges. Cupping, Manual Lymphatic Drainage, hot stones, reflexology, stretching, aromatherapy – even hot towels, all at no additional cost. Come experience it for yourself. Each session is customized for a client’s specific needs. We gently iron out the muscles using a variety of Swedish, Deep Tissue, Trigger Point, Myofascial, and stretching techniques. Your Corporate Massage Specialists. Our chair massage services help spread the message of wellness throughout the community. Contact us for pricing on your next event: offices, conventions, expos, picnics, the opportunities are endless! 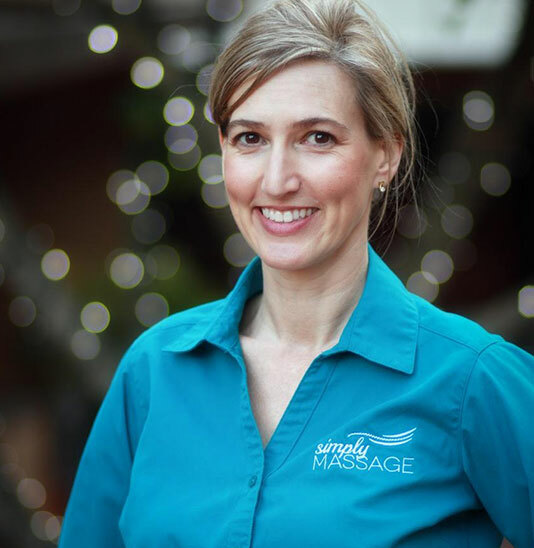 Erin is a licensed massage therapist in the State of Florida and has been practicing massage therapy for over six years. She loves that feeling after a session when a client is beaming because their pain is gone, they feel relaxed, and are ready to take on the world! Erin was on time for the appointment (even came a little early to discuss my needs). She was so easy to schedule with and reconfirmed the morning of. And of course, the most important part, the massage felt great!!! Melissa R.
Erin was AMAZING!!! She was SO SO SO easy to work with and I knew I could get a hold of her at any point and she would get back to me and answer all my questions promptly. She came to our vacation home & hosted a massage party for 16 ladies and handled it beautifully. Not to mention..it was the best massage I have ever had. Thank you Erin!!! Rachael A. People are more aware than ever of the importance of making healthier choices when it comes to purchasing personal care products. Sometimes it’s hard to know where to begin and even tougher to evaluate which products you can trust. Lemongrass Spa makes those choices so much easier by providing natural and effective skin care, family care, spa products and cosmetics that are both indulgent and purposeful.